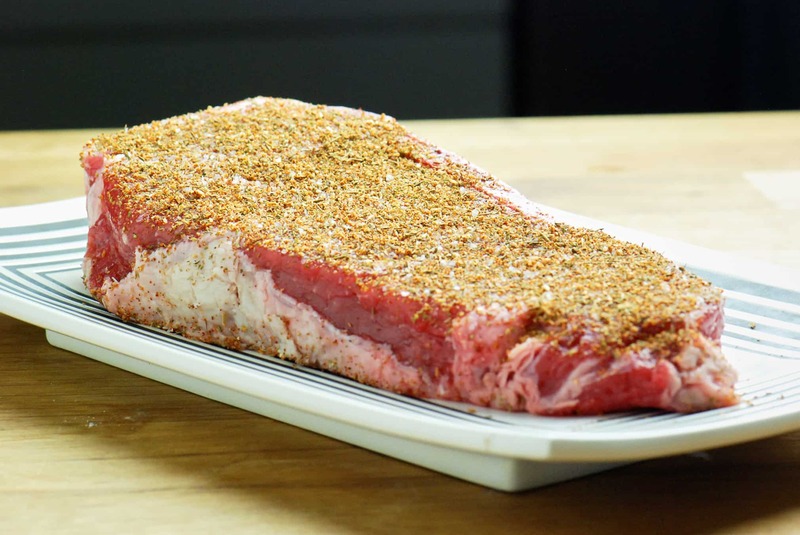 Strip steak is the general name for a whole slew of similar cuts such as top loin strip, New York strip, Kansas City strip, top sirloin, top loin, and shell steak. 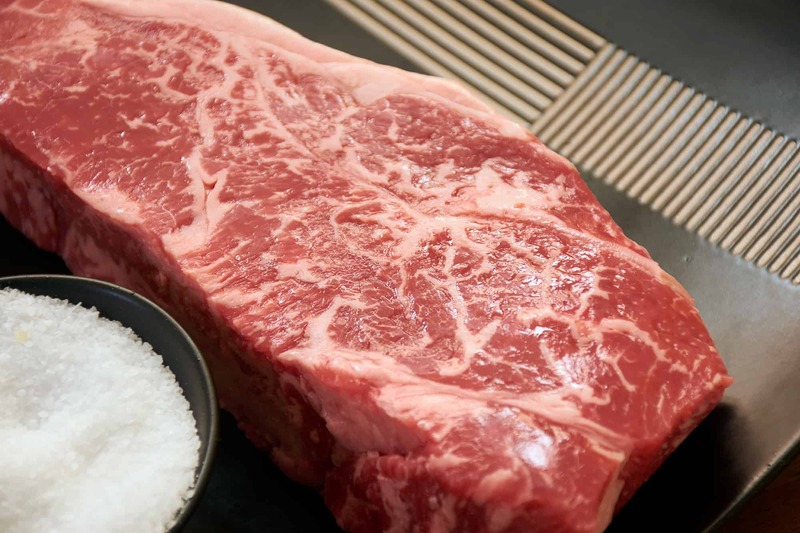 Strip steaks are a tender cut that have nice marbling but are still more lean than a ribeye or chuck steak. For the temperature, you can pick the doneness that you prefer, my starting recommendations are usually 125°F (51.6°C) for rare, 131°F (55.0°C) for medium rare and or 141°F (60.5°C) for medium. For more on determining sous vide temperatures. Strip steak is tender so it only needs to be heated through; you can find the exact sous vide time for steak or use my sous vide timing ruler. For most strip steaks it'll take 2 to 4 hours. 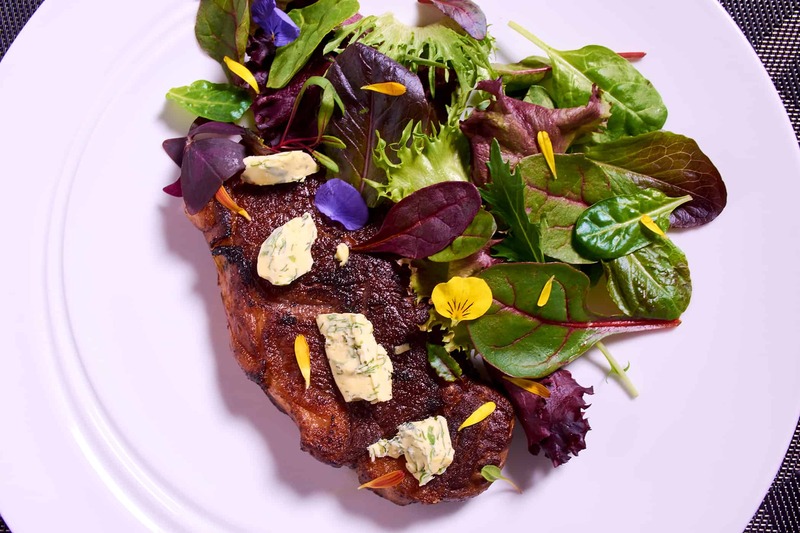 For more details you can read my article on sous vide red meat or for other recipes my how to sous vide strip steak article. Preheat the water bath to your desired temperature. Salt and pepper the meat and add any seasoning rub you prefer, then seal in a sous vide bag. Place the sous vide bag in the water bath and cook for 2 to 4 hours, until heated through. Take the sous vide bag out of the water bath and remove the meat from the bag. Dry it off thoroughly with a paper towel or dish cloth. Quickly sear the meat for 1 to 2 minutes per side, until just browned, then remove it from the heat and place onto a plate with any salads or sides. 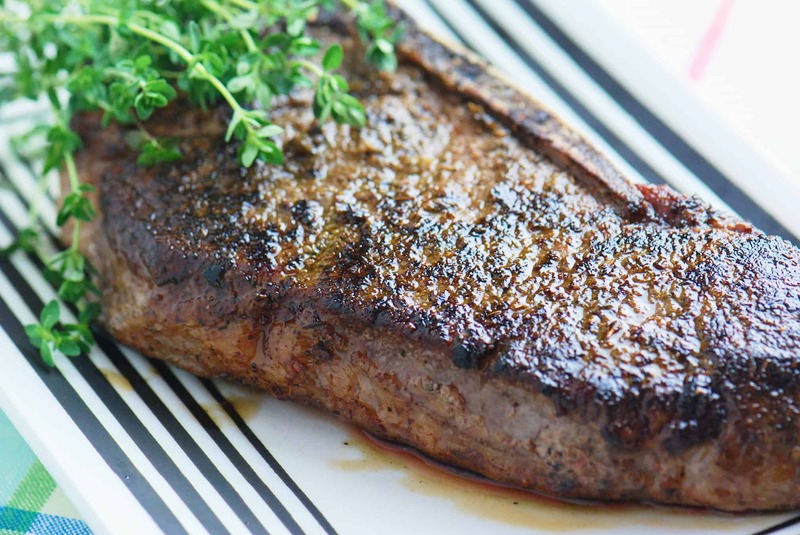 Simple sous vide strip steak is quick and easy to do with your sous vide machine.